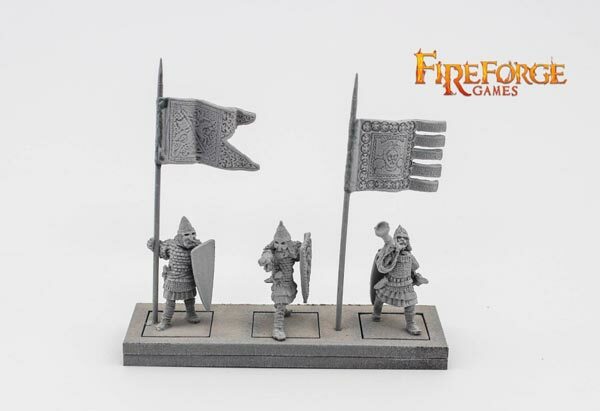 This pack contains 3 figures in resin and 2 banners. 1 Leader, 1 Horn Blower, 1 Standard Bearer and 2 historiated banners. Figures are supplied unpainted and require little assembly. Period = Late Middle Ages 1300-1500 A.D.